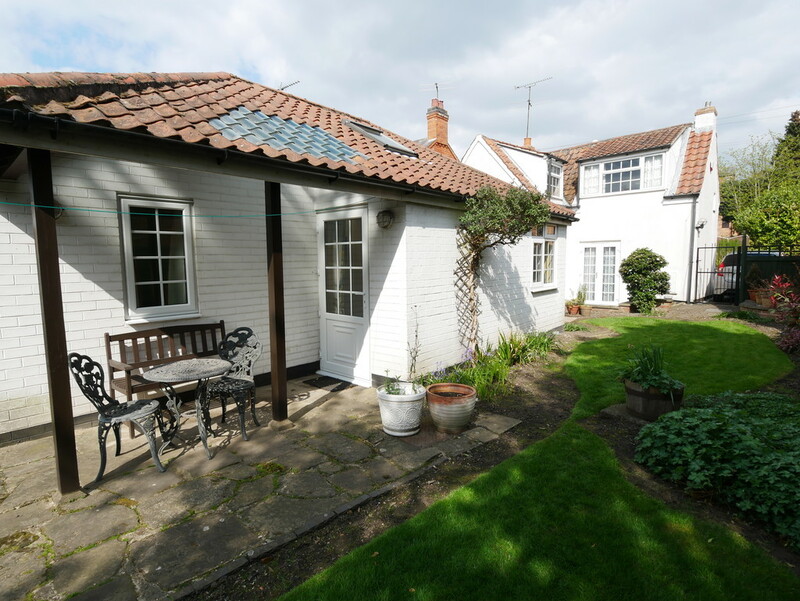 Delightful “chocolate box cottage” with deceptively spacious accommodation. The property boasts a central village location with parking and many enviable features such as the vaulted beamed ceilings and latch doors. In brief the property spans two floors and comprises an entrance hallway with cloaks cupboards and open plan to the living room, kitchen, utility, dining room with a door onto the garden and parquet flooring, bathroom and bedroom to the ground floor. 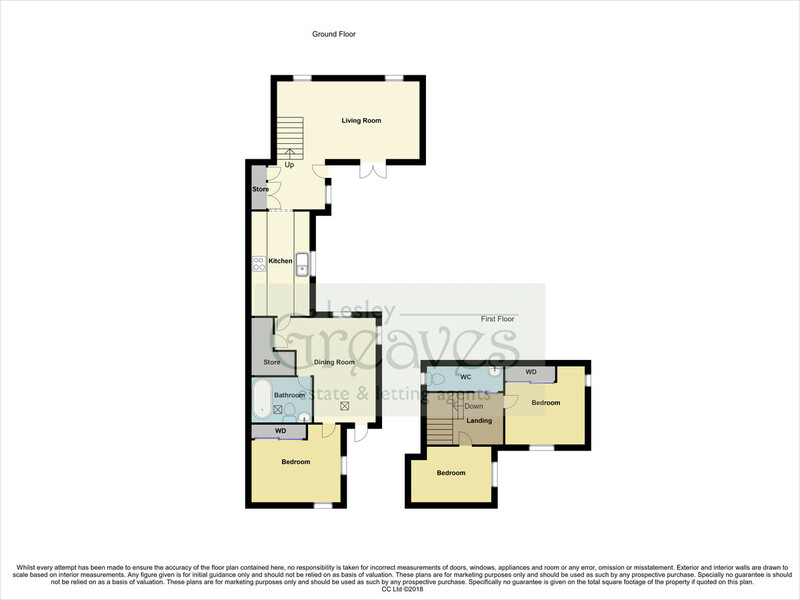 A separate WC and two further bedrooms occupy the first floor. There are beautifully landscaped gardens to the side and rear with borders for plants and shrubs, a shed and a covered paved patio area with an outside light. Viewings are highly recommended to appreciate this unique home. Lowdham is a popular village with Public Houses, a Co-op, Doctors, Chemist and Primary School. LIVING ROOM 18′ 7″ x understairs and to the back of the chimney breast 10′ 6″ (5.67m x 3.21m) uPVC double glazed windows to the front, uPVC double glazed French doors to the rear, radiator and living flame gas fire suite. UTILITY Wall mounted boiler, water cylinder and space for a kitchen appliance. BATHROOM Fitted suite comprising a low flush WC, pedestal wash hand basin and panelled bath with an electric shower over. Tiled splash backs, radiator, extractor, vaulted ceiling with exposed beams and Velux window. BEDROOM ONE 10′ 9″ x 7′ 6″ to the face of the wardrobe plus door recess(3.30m x 2.31m) uPVC double glazed windows to the rear and side, radiator, wall light points, vaulted ceiling with exposed beams, overhead storage cupboards and fitted sliding door mirrored wardrobe. WC Low level WC, wash hand basin within vanity unit, uPVC double glazed opaque window to the side. BEDROOM TWO 10′ 5″ to the maximum x 10′ 6″ to the back of the wardrobe measured at a height of 1.13m (3.19m x 3 uPVC double glazed window to the rear, radiator, beams to the ceiling and fitted wardrobe with mirrored sliding doors. BEDROOM THREE 9′ 11″ measured at a reduced height of 1.11m x 7′ 3″ to the maximum(3.03m x 2.21m) uPVC double glazed window to the side, radiator and beams to the ceiling. OUTSIDE There is block paved parking at the side and gated access to the garden which is mostly lawn with borders for plants and shrubs, a shed, outside tap, power point and a covered paved patio area having an outside light.